Artificial Intelligence, or AI as we know it by these days, is no longer a figment of imagination of the sci-fi mind. It is now very much a reality – a reality that we experience in our day-to-day life in some form or the other. By combining the most recent technology, AI tools are now transforming many areas of our lives and businesses – from traffic problems to eCommerce. But before we talk about AI in eCommerce and the benefits of artificial intelligence in eCommerce, we need to first understand what AI is really all about, and more importantly, the meaning of AI. Download your guide and learn all about product recommendation and how it can increase your sales.. Put simply, artificial intelligence (AI) is the ability of a machine or a computer program to observe and learn. In other words, it’s a technology which is programmed to learn from human cognition, and perform a lot of functions based on this learning. AI would therefore, perceive its environment and take certain actions which will help optimize its success at a given objective. It is the simulation of human intelligence processes carried out by machines, especially computers. These could be learning, reasoning, analyzing and so on. Artificial intelligence (AI) is the ability of a machine or a computer program to observe and learn. – Tweet This! Detecting wear and tear in elevators from data gathered by IoT devices, and so on. The personal touch we feel when we shop online on Amazon, that is AI all the way. AI in eCommerce has transformed and enhanced the entire spectrum of buy-sell experience, and continues to do so, as we speak. Right from the point when you enter an eCommerce store, AI takes over. You search for a product, using AI’s intelligent search capabilities. You see recommended products because of AI powered recommendation engines. You add products to the cart with the help of AI Chatbots; you place an order with the help of AI Virtual Assistants – and the list goes on and on. Let’s look at some of the ‘AI in eCommerce’ applications. Contrary to traditional chatbots which we earlier saw in pizza delivery mobile apps and which provided some stock answers to common questions, the AI enabled chatbots have more on offer. The latter uses deep learning and natural language processing (NLP) to give more than some pre-set answers. 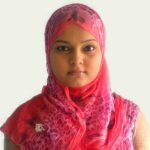 Their conversations are more human-like, they give insightful responses, and address the user’s needs. All these result in better engagement, more sales and happier customers. These AI-enabled personal assistants can give the status of an order to a customer and perform routine tasks like finding a particular product just by a customer’s description. 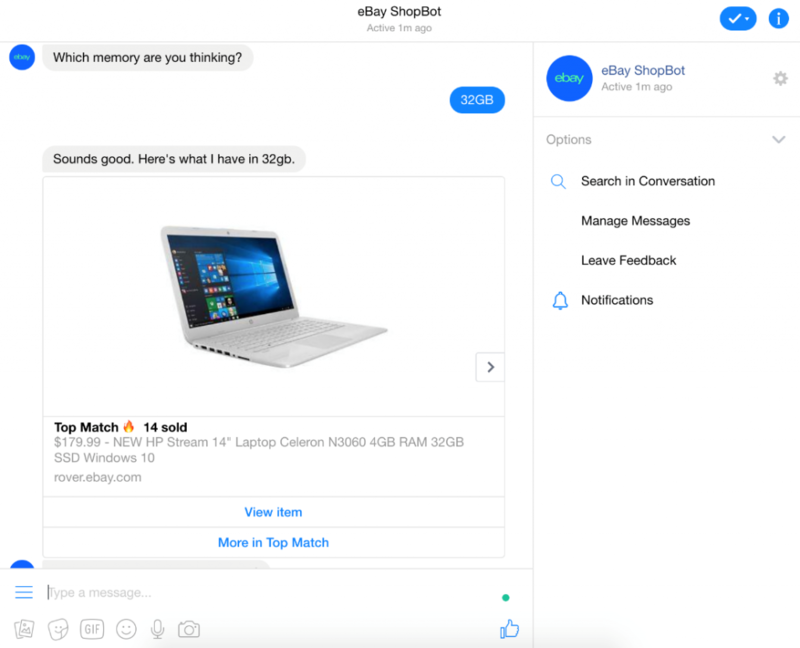 eBay started with chatbots years ago when it launched a simple Messenger bot to send reminders to bidders. Now it has ShopBot – an advanced version which is capable of finding you a gift within your budget and even locate a listing by an uploaded picture. We see similar bots at work on online stores like H&M, Sephora, Burberry, and Pizza Hut. Chatbots are also being integrated with shopping carts. Once you have integrated the chatbot with one of your shopping carts, it can work with all the stores based on the platform. Also, specific systems need shopping cart integration to retrieve information such as product details and quantities, shipping terms etc., and chatbots are used to provide accurate answers to your customers pertaining to these criteria. Artificial intelligence is perfectly suited to recommend products to your customers – Tweet This! These smart recommendations are transforming how eCommerce websites serve their customers. Nike, for instance, will encourage you to rethink your potential shoe purchase by showcasing a few other more attractive options. This is called up-selling and cross-selling. 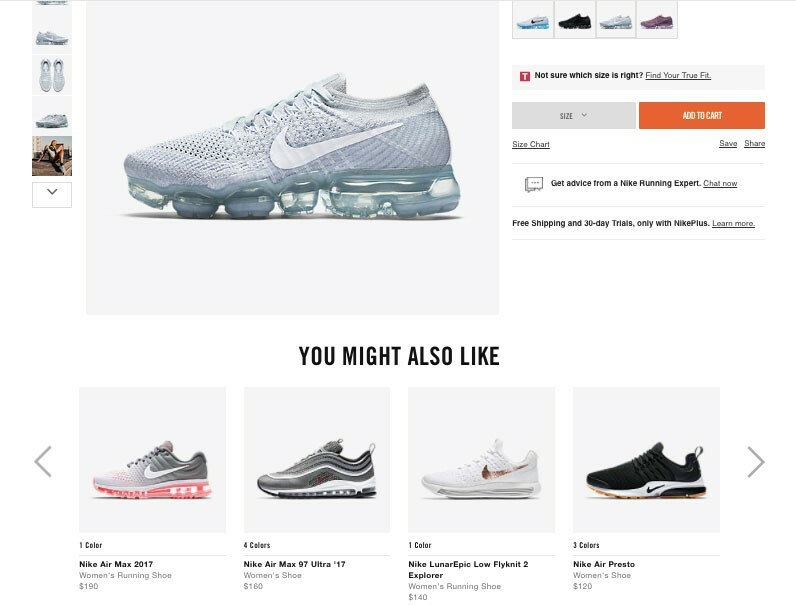 While visitors browse the product page, these product recommendation engines take the opportunity to offer some more relevant options and complementary products to lure the customer to make an additional purchase. 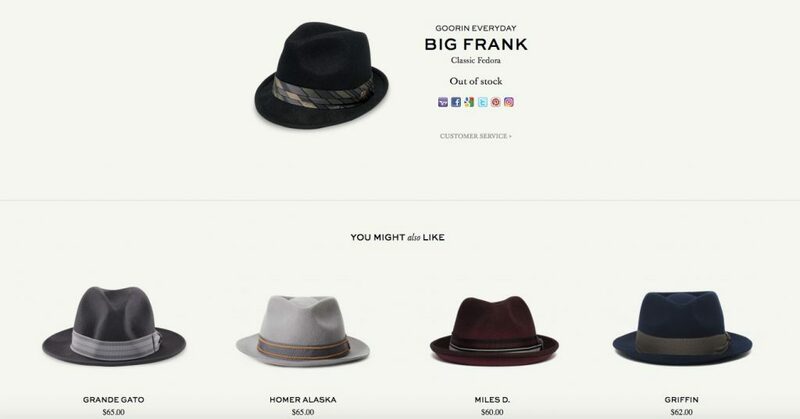 Goorin has made sure that – although the “Big Frank” is not available – the company offers other relevant alternatives to encourage the customer to hopefully make a purchase. Also, how you communicate the products to a shopper is an important component alongside your product recommendations. To increase AOV, try testing with different titles to determine which words/phrases drive the most action. Sephora features a selection of top sellers under the title “Editor’s Picks” to establish a trustworthy rapport with the shopper. These are some of the artificial intelligence examples in online retail, and some of these might just be an inspiration for your next store. AI in eCommerce is changing the way people look for things. Anticipation of what your customer is searching for is the best that a technology can provide you. And that is exactly what AI in eCommerce is doing. 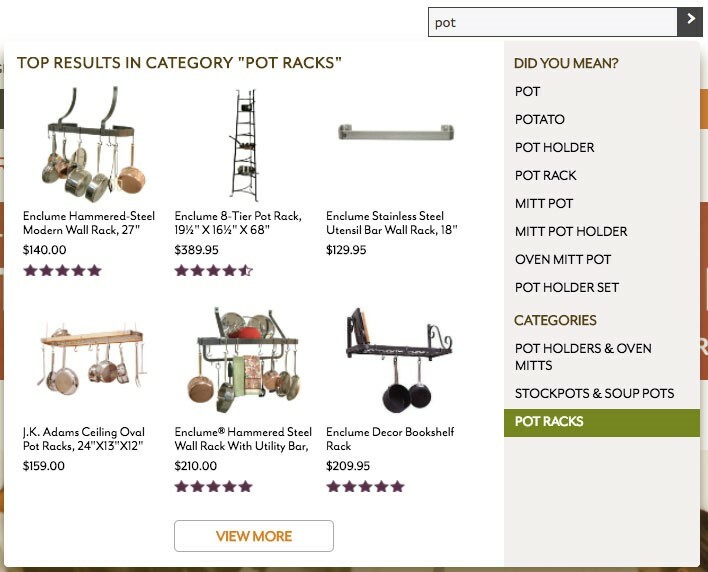 Today’s ideal AI powered search page combines intelligent recommendations, or items that other customers have looked up and purchased to guide customers on their buying journey. These intelligent recommendation engines can also spot incorrect search terms in terms of grammar and spellings, and display products similar to that term. Sur La Table is doing a fantastic job of gearing their customers towards the products they want. With the help of visual capabilities of some AI enabled tools, shoppers are now able to discover complementary products by their size, shape, colour, material or even brand. By first obtaining visual cues from the uploaded images, that kind of a software can successfully assist the customer in finding the product they want from across the internet. Fashion retailer ASOS invests heavily in AI and voice recognition systems to influence buyer behavior. The retail giant has invested in image recognition technology by introducing a visual search capability which allows the company’s app to match users’ photos with similar clothing sold online. How to use artificial intelligence in eCommerce marketing? AI in eCommerce marketing can help with enhancing the sales cycle, by customizing your solutions and conveying a strong sales message to your consumers at the right time on the right platform. North Face, for example, uses IBM`s AI solution Watson to understand their consumers better. With the help of the latter, the company helps their users find the perfect clothes, by asking questions such as “where and when will you be using your running clothes?” Customers can either respond by saying or writing the answer. IBM’s software then scans hundreds of products to find the perfect matches based on real-time customer input and also does additional research to find out the weather conditions in that area. Another hugely significant use of AI is making sales forecasts. AI helps in analysing huge volumes of data and offers useful insights based on data about consumer buying patterns. How can small and medium sized online retail businesses benefit from AI? When we talk about AI in eCommerce, we must include the small and medium sized online businesses which are now considering integrating AI into their online stores. What’s in it for them? Convenience. Attributes like personalized recommendations, easy reordering, voice-activated assistants, and chatbots – each one of these benefits the merchant as much as they do their customers, in terms of saving thousands of dollars and time. Speed. Think about the quick turn-around time of a problem resolution. Things like fast delivery and one-click purchases with streamlined checkout processes give your website the speed it needs. Assurance. Customer standards for privacy and security are heightened once you have integrated AI into your store. Your customer feels safe and you develop a trust in their minds. 4. Precision. Things like geolocation, feedback&reviews, and exact arrival dates all help elevate trust and make people begin to turn towards you more. Experience. Customers value elements of pleasant surprise and love to try uncommon technologies such as visual and voice search. It gives them a feeling of something “unique”. Choice AI helps you to create personalized eCommerce landing pages, elements and smart banners in real time. Choice.AI will help you generate more sales by creating dynamic content and offers on your site by predicting shopper preferences. B12’s friendly robots draft your website by taking your inputs, and their designers give you suggestions. You can also create a unique design and style, and also make quick updates. It is suitable for eCommerce businesses of all sizes. Our very own Perzonalization app uses real-time AI predictive analysis to recommend products to your customers and act more like a personal shopping assistant to them. Personalization’s automated emails help you create AI powered email campaigns on any platform. AI analyst provides user-friendly proposal and solution directed towards complete website enhancement. You can connect your Google Analytics to get weekly and monthly reports. The toll also provides a detailed yet simplified advice with future outcome prediction based on analysis of accessed data. ViSenze provides intelligent visual recognition and visual search functions for eCommerce. Their solution offers Search By Image, automated product tagging etc. Their artificial intelligence powered visual recognition allows publishers to quickly monetize all their online visual content, images and videos by analysing visual attributes of the items and tagging them to similar products from other online retailers. 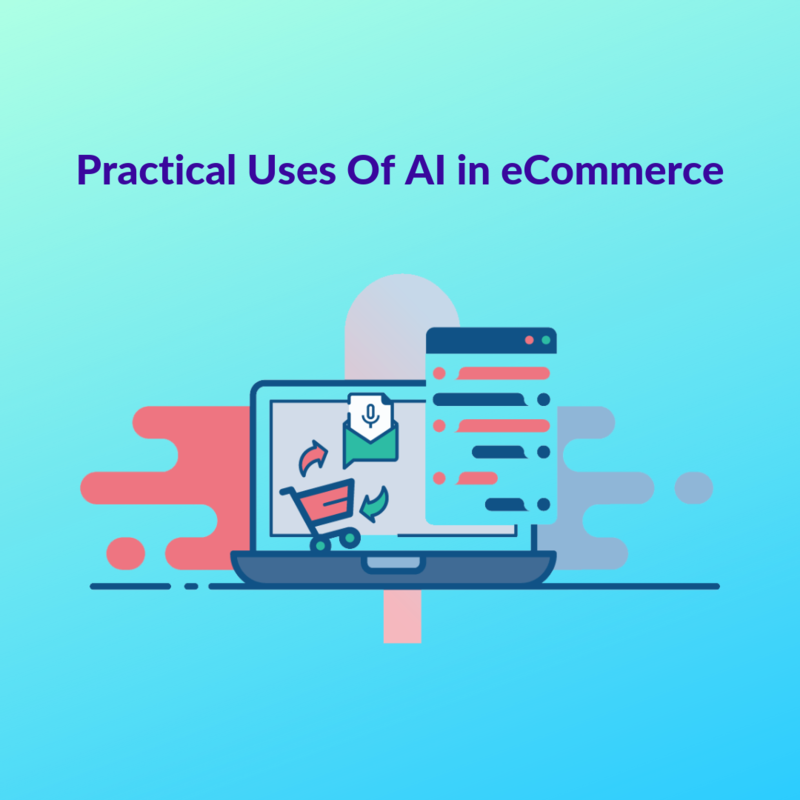 AI in eCommerce is increasing with every passing day, although it is still far from being perfect, thus the future of artificial intelligence in eCommerce is one worth watching out for. What we can be rest assured of is that, the tie-up between eCommerce and AI will bring some exciting integrations in the days to come, which will impact transactions, customer engagement and retention, satisfaction, efficiency, and bottom line sales.